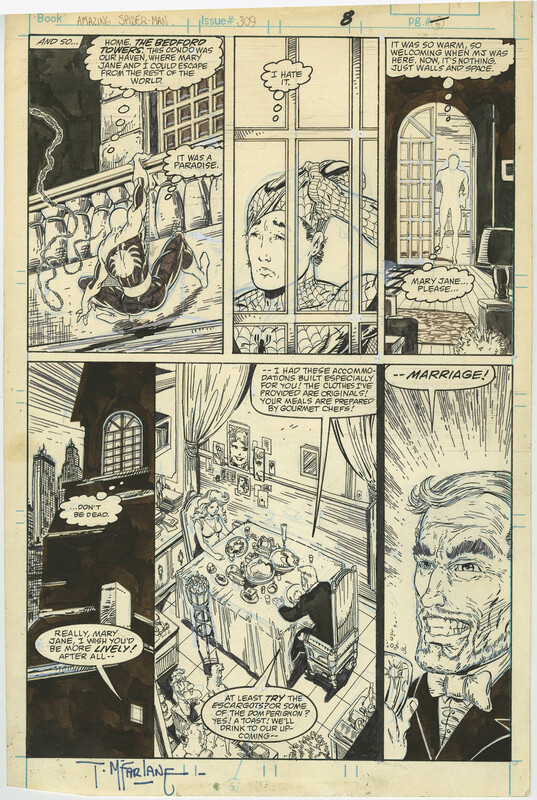 Welcome to part 2 of the Aficionado's guide to original comic art (“OA”) collecting (here’s part 1). Today we’ll look into acquiring OA! How much does OA cost? The price of an individual OA page ranges from under US$100 to over US$1 million. There are plenty of decent OA pages available for between US$150 to US$500, dating from the 1980s to present day. OA pages from well-regarded storylines and runs (whether due to the artwork and/or writing), tend to fetch higher prices. Based on purely artistic considerations, the desirability (and therefore price) of an OA page depends on artist, character, layout and content. When determining prices of OA pages by specific artists on specific characters, the price hierarchy of the pages is contingent on page layout: 1) cover; 2) double-page splash; 3) splash; and 4) panel page. For instance, splash pages are generally worth more than panel pages. Within each of the above four page layout categories, the price hierarchy of such pages is contingent on page content: 1) costumed action; 2) costumed static poses; 3) costumed “talking heads”; and 4) non-costumed page. For instance, images of costumed characters in action are generally worth more than non-action pages. Of course, each OA page is judged on its own merits, which will lead to instances where the abovementioned pricing generalizations do not apply (i.e. sometimes a non-action panel page will be worth more than an action splash page, both coming from the same issue of a comic book). Are there any OA price guides? There is no GPA or Overstreet price guide for OA, but you can use the following resources to estimate the value of a piece of OA. Big shout out to Alex Johnson on the CGC Forum for many of the links and descriptions below! Heritage Auctions archive – This archive presents the results from all of their auctions. Once you sign-up (for free! ), you can search for OA pieces by artist/title and see what they have sold for. Comic Art Fans (CAF) Market Data – More than 1,000,000 auction results are available if you join the Comic Art Fans (CAF) site (free or premium) and pay for Market Data access, which covers eBay and other auction sites including Heritage. This topic in the CGC Forum Original Comic Art section. The A-level panel page valuations by artist/run thread provides some generally agreed-upon price ranges for A-level pages from popular runs by popular artists. Where can I buy OA? Auctioneers. Heritage Auctions and ComicLink are the two most established OA auction houses. They both hold major quarterly auctions, smaller monthly or weekly auctions, and have classifieds sections. Other auction sites include ComicConnect and eBay. CAF will highlight OA auctions on eBay for you. Dealers. Dealers generally own their inventory and post their art with fixed prices, though there are exceptions. There is a list of dealers on the CGC Forum and the Dragonberry site has a list too. CAF will also search the inventories of several dealers and auctioneers for you. Artist Representatives. “Reps” generally don’t own their inventory but sell it on behalf of artists, pocketing a commission on pieces sold. Artists. Some artists personally sell their art on websites or at conventions. Collectors. Many of my favourite pieces have been purchased directly from other OA collectors who I got to know through CAF and the CGC Forum! You can check out the CAF classifieds section, or approach CAF members about pieces posted in their galleries (which I’ve found to be extremely fruitful). How can I learn more and interact with OA collectors? Without doubt, the most knowledgeable and active OA collecting community is the CGC Forum OA section. The Statue Forum OA section is another friendly community. A great way to gain exposure to a wide variety of art and artists is through browsing members' galleries on Comic Art Fans (CAF). This is also the best way to meet OA collectors – by identifying those who share your tastes and getting in touch with them. In my experience, CAF members (and OA collectors in general) are deeply passionate fans who are happy to speak with others about their art! 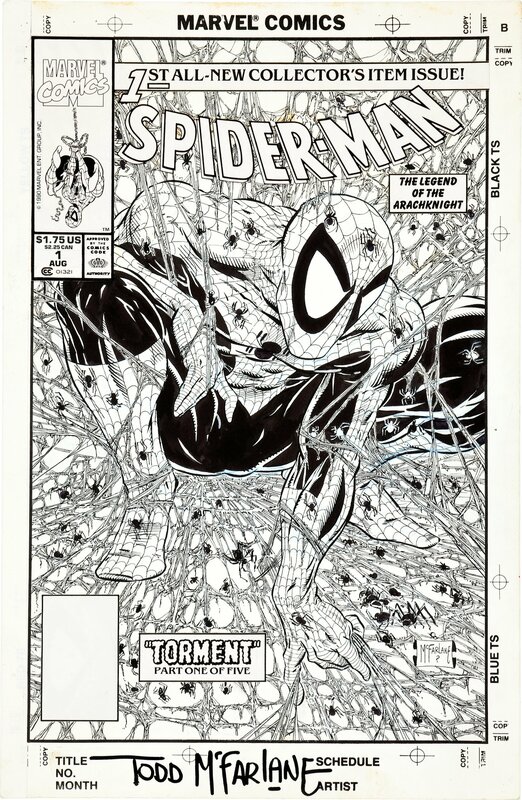 For more information, check out Alex Johnson’s OA collecting guide on the CGC Forum. 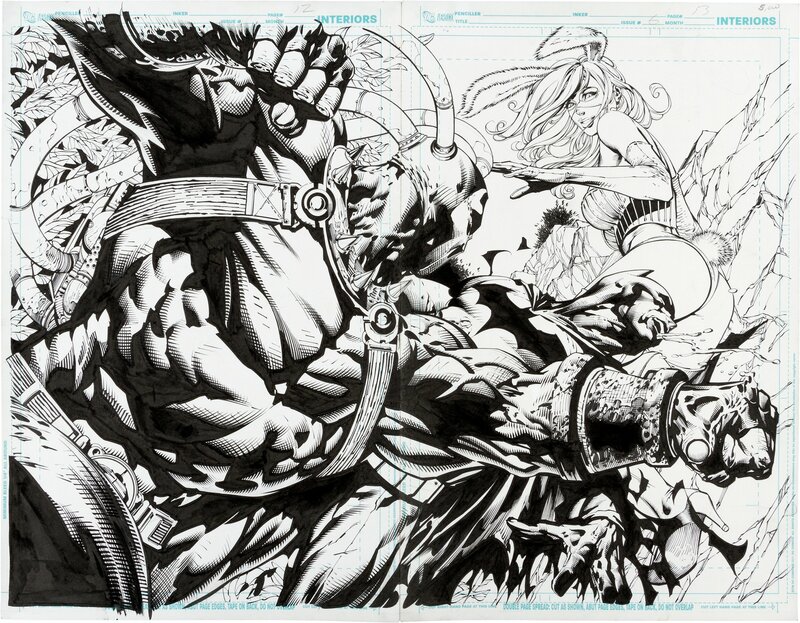 In the pre-digital era, inkers would sometimes ink on a separate piece of art board, placed over the art board containing original pencils or copy of the original pencils. This is known as “lightbox” inking, where a lighted platform is placed underneath both art boards so the inker can see the pencil-work on the art board underneath the one he is working on, and ink over those lines. With the advent of digital production methods, original pencils art boards need no longer be physically shipped to the inker to work on. Pencillers can now email their pencils (scans or digtal pencils) to the inker, who then prints it out and inks on that copy of the pencils. This is known as “blueline” inks, because the pencil lines are printed in non-photo blue colour. Non-photo blue lines are not captured by the scanner when the inked page is scanned for publication. Do note that some pencillers use non-photo blue pencils! This way, inks can be applied over the original blue pencil-work and any un-inked blue pencil lines need not be erased, as they won’t be captured when scanned for publication. For background information, un-inked grey graphite pencil lines are usually erased by the inker before the page is scanned for publication. I hope this guide has whetted your appetite for OA, and I’m happy to answer any other questions you may have. 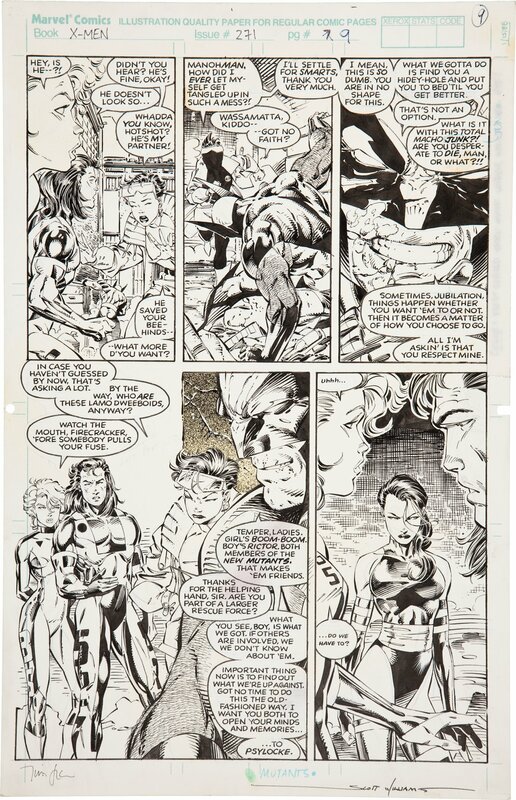 Here’s Part 1 of the guide to collecting original art; and my CAF gallery. July 4, 2016 Colossal Conan Covers! Thanks for answering my question and for all the useful links. Much appreciated!!!! thanks for the articles, this is something i want to start collecting myself. 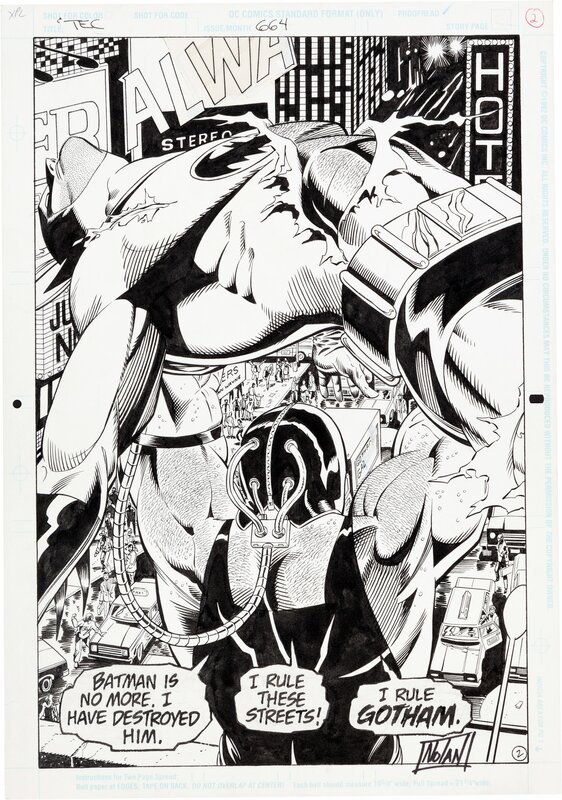 do you often find OA with the panels for first appearances and how do the prices on the pages compare with the comics? when framing and displaying OA do you need to have the same concerns as you would with comics? I would assume fading would be less likely but is it still a concern? Excellent questions, they’ll be the topics of an upcoming article!